Stackable tube apartments designed for modern cities with expensive real estate and limited available construction space. 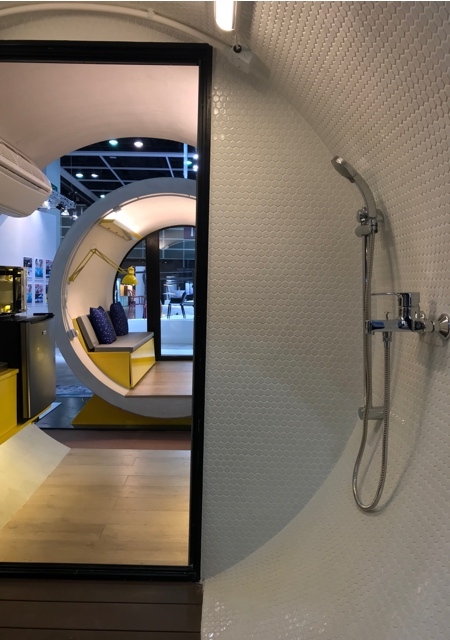 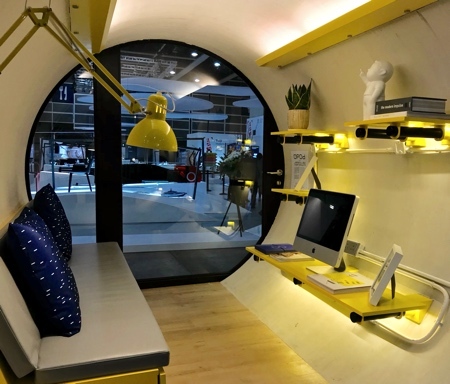 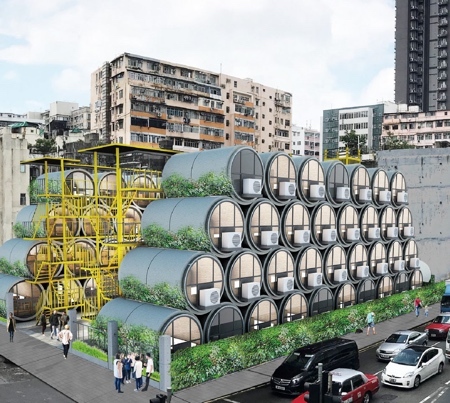 Tube apartments are a low cost living units created to ease Hong Kong’s affordable housing problem. 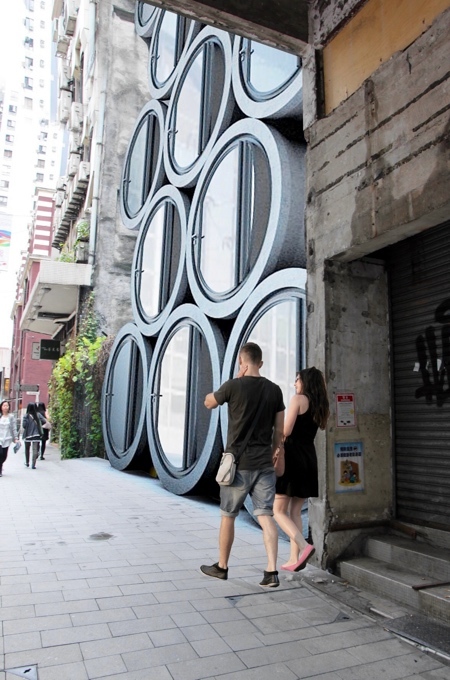 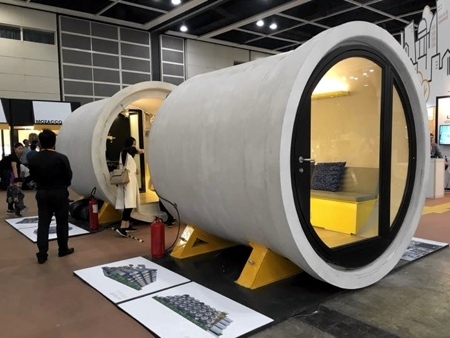 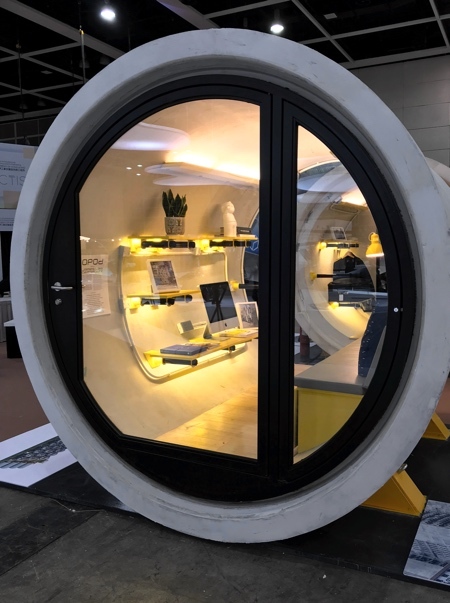 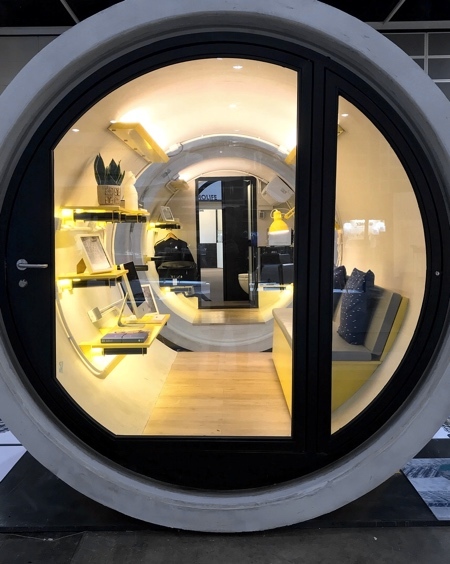 Made of concrete tubes (2.5m in diameter), each apartment for one or two people is equipped with space saving furniture and small bathroom. 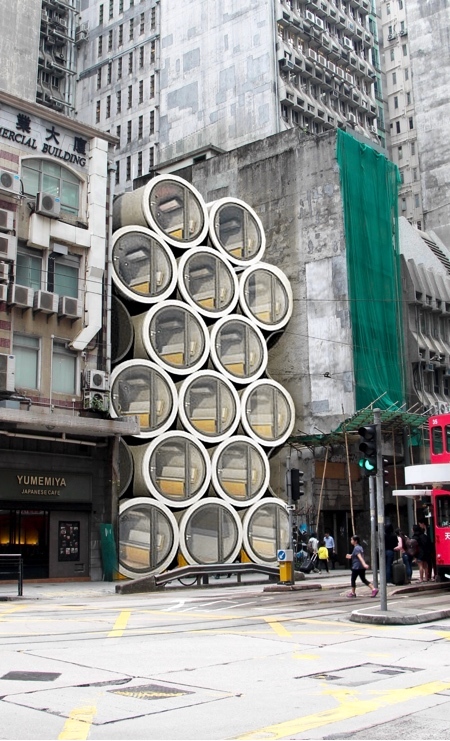 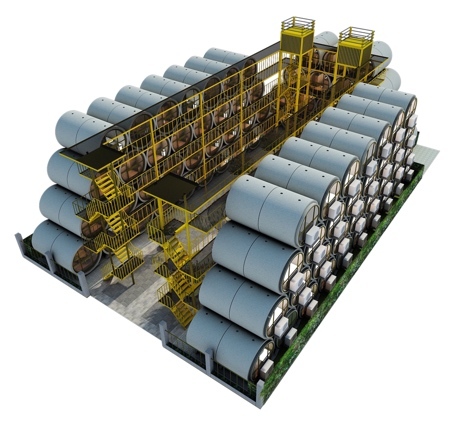 “OPod Tube Housing” concept designed by James Law Cybertecture.